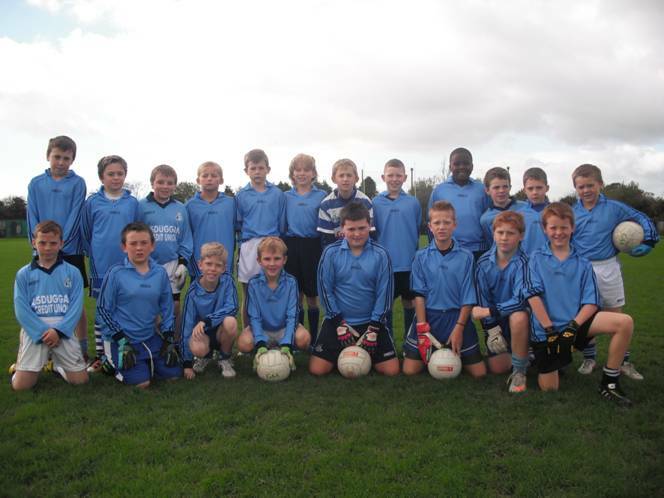 During the 2010/11 school year GAA games and activities had a very prominent role in St. Paul’s BNS. From our opening Gaeilc Football Tournaments and Blitzes last September all the way through to our annual hurling match between us and the Gaelscoil in the last week of June, GAA was to the fore in our extra curricular activities. In the Football we competed well at both the U-13 and U-11 grades with our U-13 squad achieving the Runners-up spot in the Roinn B Eastern Final. Also, our mini-7s Gaelic Football Team competed well in group stages of the tournament and was unlucky not to top their group in the round-robin element of the competition, held in the excellent De La Salle grounds in Gracedieu. As we entered term two in the New Year, the hurleys were out and the class leagues were being hotly contested thanks to the weekly support of Roanmore’s Michael Wadding. Once the Cumann na mBunscol groups stages took hold, our hurlers were looking forward to some competitive outings against some of their fellow Waterford Schools. Unfortunately our U-11s were met with strong opposition in that of Ballygunner and St. Declan’s De La Salle and bowed out of the Roinn A Tournament at an early stage. Our U-13s faired out better in Roinn B however, and succeeded in beating an impressive St. Saviour’s team after extra time in an Eastern Final that was one of the games of the day in Walsh Park. 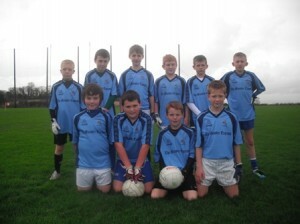 Sadly, we were out performed in the County Final against a top-class Tallow side. 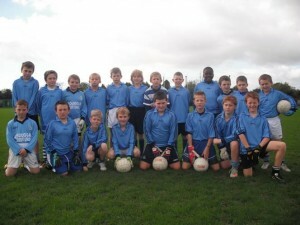 St. Paul’s BNS also, were delighted to receive the Team of the Month Award from the Munster Express and were rewarded with a new full set of jerseys complements Azzuri Sport. Finally, as the summer holidays approached St. Paul’s celebrated the GAA with our annual GAA day. This day was a great success with Gaelic Football, Hurling, Rounders, Long Puck, Long Kick and many more skills and activities participated in on the day. Visits from All-star Tony Browne and former Waterford captain Fergal Hartley made this one a truly fantastic day for all involved. So, as we now enter the 2011/12 school year St. Paul’s BNS aim to continue to build on the success and more importantly the high event participation of last year with the aim of installing St. Paul’s BNS as a GAA stronghold in both city and county!